Dangerous-sounding traps are cool – giant logs that swing together and collide, a covered pit with a 100 foot drop onto spikes, a slippery-walled pit of pirhanas. In a hack and slash game, it’s ok for a PC to die of a failed reflex save. But if your game is heavier on roleplay, character death should count for something – and death by trap can seem a little pointless. Setting off a trap should cost something, but who says it has to cost HP? Here are a few examples of how you can have traps that sound deadly in your game by giving them consequences other than PC death. The “Cannon Fodder” method – it sounds terrible, I know, but in the movies NPC types often function as human shields: collectively, they’re a health bar that, once it’s used up, signals that the real danger is about to begin. The “Sanity Bar” method – Another kind of alternative “health bar” could be Focus – how much control of the situation a PC loses based on poor handling of a trap. Each time the party has a close call, they all acquire a -1 IQ pentalty for as long as they stay in the booby-trapped area, or as long as they can reasonably assume there’s another trap ahead. Penalties could also be applied to other stats liks reflex or initiative. Or, instead of losing focus a little at a time, you could decide on an arbitrary penalty as the GM. Perhaps they lose initiative in the next battle, or they fail to notice certain things about their surroundings (e.g., you neglect to describe them) because they were so preoccupied. Game-Changer Traps – In a roleplay-heavy game, story consequences can be even more devastating than a loss of HP – and they keep all your characters in the game. The trap is protecting some treasure or objective that is destroyed if you fail to avoid or disarm it. When set off, this trap (examples: collapsing bridge, crushing walls, avalanche, opening pit) seals off the way back and the party now has to face the unknown. Cinematic Traps – I know I said setting off a trap should cost something, but you can use one to simply alert the players that they’re entering a Trap Zone. Narrate it in an exciting way. Give a detailed description of the room they’re entering. Then let the trap interrupt your description like a sudden shock. Everyone dodges out of the way (except maybe an NPC), the PCs dust themselves off, and the players know they better start paying attention. I first noticed this kind of trap in The Mummy 3. 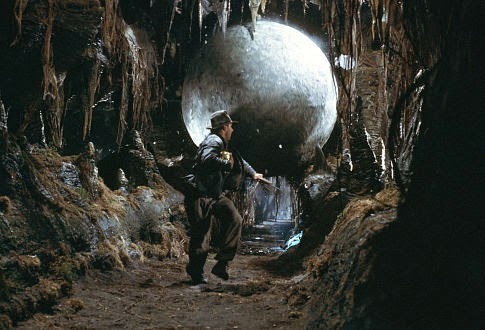 The archaeologists are walking into a tomb and barely avoid getting crushed by two big swinging logs. It didn’t kill anyone – but the next traps sure did. The log trap was far from pointless because it alerted the characters (and the audience) that this was a Trap Zone. If it had killed someone, it would have felt like a horror or suspense movie; adventure stories are more interested in getting people excited about what’s coming next.